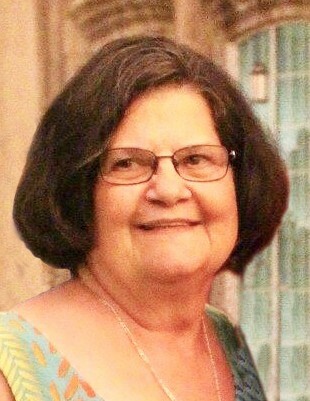 Age 72 of North Ft. Myers, Florida and formerly of Coal City, passed away unexpectedly on Sunday, April 7, 2019. Born August 10, 1946 in Joliet, Illinois, Velma was a daughter of William and Velma (Albrecht) Smith. She was raised in Coal City; graduated from Coal City High School with the Class of 1964 and went on to earn her Master’s Degree in Education at Illinois State University. Throughout the years, Velma resided in Coal City and Belleville, Wisconsin, before retiring to Florida where she lived in Windemere prior to making North Ft. Myers her home. She taught at South Wilmington Elementary School, as well as New Glarus Elementary; held employment with the Dwight Women’s Correctional Facility, and most recently worked at Walt Disney World. Velma was a member of Coal City United Methodist Church and enjoyed reading and crossword puzzles. She will also be remembered for her love of crafts and took great pleasure in cake decorating, sewing, crocheting and embroidery. Survivors include her children: Angela (Randy) Tuthill of Wyoming, Illinois, Karla (John) Carroll of Austin, Minnesota and Daniel (Anna) Corbin of Columbia, North Carolina; eight grandchildren: Trace Tuthill and Cade Tuthill, both of Wyoming, Illinois, Noah Carroll, Michael Carroll and Owen Carroll, all of Austin, Minnesota and Gage Corbin, Odis Corbin and Clay Corbin of Columbia, North Carolina; two brothers: David (Linda) Smith and Bill (Patti) Smith, and one sister, Paula (Bob) Runty, all of Coal City, and numerous nieces, nephews, cousins and friends, as well as her dear friend, Herbert Wayne. Velma was preceded in death by her parents; brother, Jack (Carol) Smith and sister, Elizabeth “Betty” (K. Max) Cullums. The family will receive friends for a memorial visitation at the Coal City United Methodist Church, 6805 East McArdle Road in Coal City on Saturday afternoon, April 13, 2019 from 2:30 p.m. until the time of service at 4:00 p.m. Reverend Brad Shumaker will officiate.